This encyclopedia of oncology social work is divided into 19 sections: Overview, the Continuum of Care, Site-Specific cancers, Distress screening, Research, Quality of Life, Sociocultural and Economic factors, Adults Living with Cancer, Interventions with Familial Cancer, Pediatric Cancer, Grief and Bereavement, Patient-centered Care, Bioethical Issues, Care Coordination, Practice Settings, Professional Development and Education, and Developing Interprofessional Practice. Just when I was beginning to think the editors had covered all the angles, I realized there was no discussion (that I could find) on euthanasia and physician-assisted death, which are clinical matters in which the social worker plays a pivotal role. And it’s no longer just Oregon – I am informed that one out of six Americans now has access to physician-assisted death. There are chapters about access and routine screening for psychosocial distress. Ethnic and cultural minorities are discussed and there are even separate chapters about GLBT (gay, lesbian, bisexual and transgender) individuals. But there is no chapter specifically addressing the problems of Mr. or Mrs. Average. I am aware that a lot of what is said in other chapters answers these questions in part, but the big majority deserves as much attention as the fringe groups. It also raised questions for me of what happens in theory and in practice. A relative of mine was recently treated at an NCI- (National Cancer Institute) accredited Comprehensive Cancer Center and I felt was much in need of some social work input, but got nothing; they only met the palliative care team because I threw a tantrum. In the chapter on bereavement, there is a discussion about the removal of the ‘bereavement exclusion’ in DSM-5 – they have removed the provision that said you didn’t necessarily get labeled as having a Major Depressive Disorder (MDD) if your symptoms started within two months of the death of a loved one. This change is embraced because, amongst other things, the ‘feared consequences of its removal have not materialized.’ I do not agree with the removal of the bereavement exclusion, first, because it says that grief cannot be a normal human reaction; everything has to have a pathological label. And, second, of course the consequences have not been seen, yet. But in five or ten years’ time, when that person who was (unnecessarily) labeled as having a MDD after their loved one died (but has now completely recovered) applies for insurance or a job promotion that requires a mental health check, then you will see the consequences. Correct me if my assumptions are wrong, but I thought this was something that social workers would be aware of and be concerned about. A couple of things about the presentation of this book intrigued me, but probably reflect the fact that I’ve never worked in the book trade. There were two pages of ‘Advance Praise’ blurbs at the front, which I expect to see in much lesser texts, and I felt they degraded this book. If you have compiled a serious textbook that you think is the best in the field, then the editors’ introduction and the Table of Contents should sell it. And it is not a good look for several of the drumbeaters to be also contributors to the book. Then there were the, not two, but three, Forewords. I found none of them particularly inspiring and none gave me any special insight into what was in this book that I did not get from the editors’ introduction. A single dose would have been ample. Then we have to ask the question. How does Handbook of Oncology Social Work (OUP 2015) compare with Holland et al Psycho-Oncology 3e (OUP, 2015) and Altilio and Otis-Green’s Oxford Textbook of Palliative Social Work (OUP, 2011). Psycho-Oncology is very much a multidisciplinary text, and shouldn’t be compared. 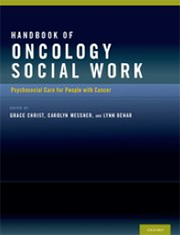 The Oxford Textbook of Palliative Social Work covers some of the same territory but does so with a wider view and more international contribution; the Handbook of Oncology Social Work is written (almost exclusively) by North American authors about North American practice and lacks any global view. Israel is the only foreign state discussed. I think this narrow focus on North American social work detracts from the book and I was more comfortable with the editorial flow of Palliative Social Work. In Handbook of Oncology Social Work, there were comments about ‘normal sadness’ and ‘not every tear’ being a Major Depressive Disorder, which I applaud as a rational deviation from DSM-5, but there were bits I had trouble understanding, such as ‘Patient-centered care may be best understood as a theoretical conceptualization of survivorship . . . .’ If you are an oncology social worker (or student thereof), the present book delivers more information about care across the trajectory of the cancer illness but, as is usual in oncology textbooks, the description of end-of-life care tends to be superficial and you would benefit spending time with the Oxford Textbook of Palliative Social Work. If you are a palliative care social worker, stick with the Oxford Textbook of Palliative Social Work. After many years working in oncology and palliative care, I cannot go past Betty Ferrell’s comments at the beginning of The Oxford Textbook of Palliative Social Work about social workers being ‘the calm in the storm.’ I have had the privilege of working with many social workers that have been of enormous help to patients and their families, and at the same time sustained me. Any book that advances their role and recognition is a plus. This volume is one of the Hospital Medicine: Current Concepts series; the name and logo of the Society of Hospital Medicine (SHM) appear on the cover and title page, but the relationship is not specified. 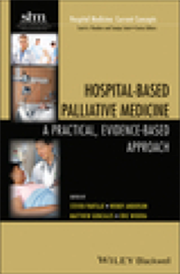 It is a book for hospital-based clinicians (‘hospitalists’), setting out the need for the principles and practice of palliative care in the management of more patients hospitalized with serious illness, and how to go about doing it. The introductory chapter gives a good description of what palliative care is about, emphasizing its value at any stage of a serious illness and that it is not reserved for the terminally ill and dying. The first main section of the book deals with symptom management – pain, dyspnea, nausea and vomiting, delirium, as well as depression and anxiety. The second section is about Communication and Decision Making, which I thought was the most important part of the book, as these are the areas in which a hospital clinician with little or no experience of palliative care has the most to learn. Effective communication, communicating with and caring for families, goals of care and treatment preferences, prognostication, and managing conflict are all discussed. The last section is about practice and discusses palliative care emergencies, withdrawing life-sustaining interventions, artificial nutrition and hydration, and the last days of life. The last two chapters are about Interdisciplinary Team Care and Self-Care for Hospital Clinicians. This is a good introduction to palliative care for hospital clinicians that emphasizes the need for and value of the wider application of palliative care in the management of patients with serious illness, and that it should not be reserved for the terminally ill or patients with cancer. It is a sign that the principles and practice of palliative care are being acknowledged and implemented ‘upstream’, which can only be of benefit to patients and their families. RRP $US85.00. The price listed on Amazon (£999) is nonsensical. 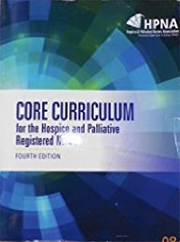 This book is presented by The Hospice and Palliative Nurses Association (HPNA) as a preparatory guide for the board certification exam as well as a practice guide for the hospice and palliative care nurse. It is divided into chapters that cover an overview of hospice and palliative care, interdisciplinary practice, patterns of disease progression, pain and symptom and psychosocial management, care of the family, palliative care in different settings, advance care planning, management in the final days and ethical issues. There is a generous appendix about guidelines for RN (registered nurse) practice according to the Clinical Practice Guidelines for Quality Palliative Care from the National Consensus Project for Quality Palliative Care, covering the domains of Structures and Processes of Care, the Physical, Psychological, Social, Spiritual and Cultural Aspects of Care, as well as End-of-life care and Ethical issues. I liked this book. It is well set out and organized, with everything in list format. I think it would be a very good preparation for American nurses taking their palliative care exams, but would also be useful to palliative care nurses elsewhere in the world. 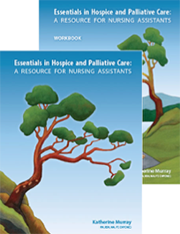 This is designed for teaching Canadian Personal Support Workers about palliative care. There is a 230-page textbook, a 62-page student’s Workbook, and a 33-page Instructor’s Guide. And there is a set of PowerPoint slides covering the whole course that is available online, which I think would be of great help to both teachers and students. The textbook has chapters on Preparing to Care, Understanding the Dying Process, Integrating a Palliative Approach into Caregiving, Increasing Physical Comfort, Providing Psychosocial Care, Caring in the Last Days and Hours, and Caring for You! I was impressed by the way this educational course was constructed – it has all the necessary information (but not too much), it is explained in a most understandable way, and it provides enough information for the caregiver to feel up to many of the challenges they will face. This is directed at training Nursing Assistants in the USA about things to do with palliative care. The three books are identical and the set-out of the chapters in the textbook is the same. The PowerPoint presentation is also the same. And I have to say the same complimentary things about the content. If you are involved in training Personal Care Assistants or Nursing Assistants (or whatever they are called where you work), you should look at this material. You can get a good idea of the content by looking at the PowerPoint slides online. Although they are written to satisfy certain Canadian and USA educational criteria, the content is pretty much applicable anywhere in the world. Nice job. On their website lifeanddeathmatters.ca there is a third series, Essentials in Hospice Palliative Care for Nurses, which I have not reviewed. 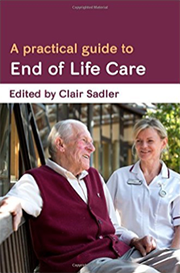 ‘Written for healthcare assistants, hospice workers, volunteers, nurses and other carers,’ this is a good, down-to-earth, practical guide to the issues of end-of-life care. It is written by 15 members of the multidisciplinary palliative care team at the Princess Alice Hospice in Esher, Surrey. There are chapters on what dying means (in the psychosocial context); the different places where the dying can be looked after, communication, the management of common symptoms (both physical and non-physical), helping families, the influence of people’s beliefs, and care in the last hours. And one on caring for ourselves. There are repeated references throughout the book to the stories of three patients and their families, used to highlight the discussion in the text. 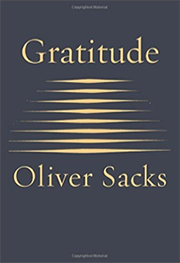 I think this is a particularly good idea – rather than having 40-odd distinct clinical vignettes, all the anecdotes here refer to the three people and their families, whom the reader gets to know and is comfortable with. There is also a system of signposts or symbols that prompt the reader to reflect on a particular issue, or what extra information they might find useful in providing care and how to go about finding it. I think this book achieves what it sets out to do and would be valuable to healthcare assistants, nursing aides, and volunteers. It is set in the English context, but what it has to say about end-of-life care is applicable across the developed world, perhaps further. The author, dubbed the ‘poet laureate of medicine’ by The New York Times, died in August 2015. This book comprises four of his last essays. Mercury celebrates the pleasures of old age, without dismissing the frailties that may come with it. My Own Life is an expression of gratitude for a life well lived. My Periodic Table is a reflection on his own mortality. And Sabbath is a very personal reflection on Judaism, sexuality, and his earlier near-suicidal addiction to amphetamines. Short and wise words about ageing and dying from a doctor who was a master of the pen in our time. 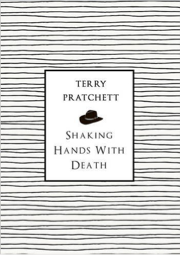 Terry Pratchett was the acclaimed creator of the bestselling Discworld series of fantasy novels, of which I must confess no previous knowledge. Diagnosed with an uncommon form of Alzheimer’s disease at the age of 59, he was asked to present the annual BBC Richard Dimbleby Lecture in 2010. 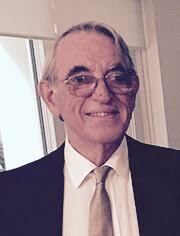 He chose as his topic physician-assisted death. This is the transcript of that lecture. The first thing about this book is that it is beautifully written and enjoyable to read, whatever your view of the subject. I wholeheartedly agree with his arguments about patients’ wishes, futile therapy, not being kept alive for the sake of being kept alive, and the undesirability of serving long periods of time in nursing homes, which he calls ‘God’s waiting room.’ I am uncertain about his assertion that it was common in Victorian and Edwardian England ‘to help the stricken patient on their way’ – ‘Departing on schedule with the help of a friendly doctor was quite usual . . .’ As to his ‘medically assisted death by appointment’, I am not so sure. He claims ‘there is no evidence of the sick or elderly being cajoled into assisted death by relatives anywhere in the world.’ I am not sure about that, but who needs relatives? The Dutch reported about 1,000 deaths a year from euthanasia without request, never mind consent. And the recent blossoming of death by terminal sedation in Holland, of questionable motivation and which does not have the same legal connotations as euthanasia, is ominous. Terry Pratchett died in March 2015. In the review last month, I indicated that some of the references were only available online and that the book came with a free 12-month subscription to that site. Oxford University Press has reassured me that the references will always be freely available.